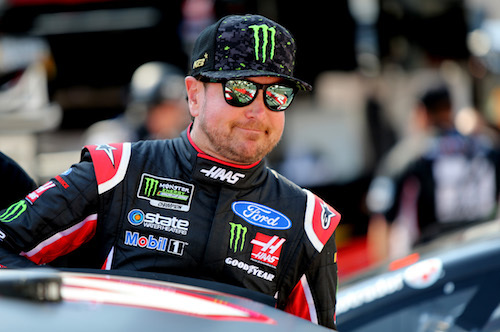 Kurt Busch crashed hard during final Monster Energy NASCAR Cup Series practice at Bristol (Ten.) Motor Speedway on Saturday as teams prepared for the the Food City 500, scheduled for Sunday. As a result, Busch, a five-time winner at Bristol, will start Sunday’s race in the back in a backup car. Busch will give up a front-row starting spot Sunday, as he qualified second to brother Kyle Busch on Friday. The race is scheduled for a Sunday 1 p.m. ET green flag, but rain is expected. Kevin Harvick, one of Busch’s Stewart-Haas Racing teammates, also will be in the back in a backup car at the start of the Food City 500. Harvick and A.J. Allmendinger crashed separately in first practice on Friday. Allmendinger also was forced to a backup.